In part 1 of this series I shared how I went from having no understanding of Calvinism, to not believing it and not liking it, to believing it was true but still not liking it, to finally loving these doctrines. Many call Calvinism the Doctrines of Grace. I imagine John Calvin himself wouldn’t love the idea of having a theology named after him. For me, it isn’t about following a man, but digging into God’s word to see what it says. I don’t really care what you call it. I just want it to be true. Total depravity is a good place to start. What is the condition of humanity after the Fall? Are we able to choose to follow God? Total depravity is also referred to as total inability, which I think presents a more accurate picture. Total depravity can conjure up images of people who are rotten to the core and as awful as humanly possible. While we see some pretty horrific things happen in this world, we know from experience that everyone is not a bad as possible. People choose to do good things all the time. The idea behind this doctrine is not that we are as bad as we could be, but that on our own, we are unable to come to Christ due to our sin. It has affected us completely. Our mind, will, and emotions are corrupted. In fact the Bible portrays it as worse than just corruption. We are spiritually dead. Without a work of God, we would all be lost in our sin forever. The biblical support for this doctrine is immense. I will touch on a few key passages to get things started. Finally, in Ephesians 2:1, we are told that we are dead in our sins. Until God makes us alive, by His mercy and love, we will remain spiritually dead. A small sample of some more passages would include: Mark 7:21–23; Jeremiah 17:9; Titus 1:15–16; Psalm 51:5; Colossians 1:21; 1 Corinthians 2:14; Isaiah 53:6. The picture that we get from God’s word is that sin has totally corrupted us. It has spiritually killed us. We have no desire to submit to God, and we are unable to do so. Jesus tells us in John 3:36 that God’s wrath is on those who reject Him. In fact we are born under God’s wrath because of our nature (Ephesians 2:3). This is what all mankind is deserving of, and destined for. In and of ourselves we have no hope. Luckily Ephesians 2:4 has some of the sweetest words in the Bible, “But God”. But God, being rich in mercy, because of the great love with which he loved us, even when we were dead in our trespasses, made us alive together with Christ—by grace you have been saved (Ephesians 2:4–5). Our merciful God has stooped down out of love to breathe life into spiritually dead people. The only way out of our hopeless situation is God. The next post will explore whether or not God has given spiritual life to everyone. Typically, each Monday we will be posting the previous Sunday’s sermon. Here is the sermon from yesterday. You can also access the sermon HERE. In three parts, Gerry Breshears identifies several lessons to be learned from the sad situation at Mars Hill Church in Seattle. Here are some eye-opening and thought-provoking remarks on prayer and social-media. Continuing the theme of our technological age, Betsy Childs thinks about Titus 2 and the overabundance of advice in today’s world. Here is some simple, yet true and pointed, advice about evangelism and hospitality. Earlier this week a worldwide group of religious leaders gathered at the Vatican in Rome to discuss the topic of marriage and family. Russell Moore, president of the Ethics and Religious Liberty Commission addressed the group, offering an evangelical perspective on gender and marriage. At the bottom of the page is a link to the transcript of Moore’s whole speech. On Saturday, November 1st Brittany Maynard swallowed a concoction of medicines prescribed by her doctor and died shortly thereafter. She was twenty-nine. By now, most people have heard her story. She was diagnosed with a stage IV aggressive brain tumor earlier this year, and doctors said it would take her life in about six months. Learning of Oregon’s “Death with Dignity” law, which allows certain terminally ill patients to receive life-ending medications with the assistance of their doctor, she moved from California to Oregon to die. Since her passing I have wanted to write down my thoughts from a Christian perspective and have found it extremely difficult to do. Not because there’s nothing to say on the matter, but because, quite honestly, there’s too much say. And not only that, but how it is said is also critical. I could fairly easily rattle off a list of five points as to why assisted suicide is wrong, but the hard part is not sounding like a cold-hearted insensitive jerk while doing so. Before Brittany took her own life she had made her intentions publicly known, and this caused quite a stir. Many came out in support of her decision, while others were highly critical. Others compassionately and loving encouraged her to not go through with it. Then it was done. So the question now is, what do we as Christians make of it? After about five or six separate attempts at writing something, each resulting in me hitting the delete key, I took some time to try and see the issue through the eyes of someone facing a painful terminal illness. In reading about Brittany’s story I remembered that one of the things that initially prompted her decision was watching the movie How to Die in Oregon. I found it on Netflix and watched it. It was probably one of the most difficult things I’ve watched. I won’t take the time here to recap the whole thing, but the movie follows several Oregonians as they plan and carry out their own deaths in the face of terminal illnesses. They spend their last days of “good” health doing their favorite things, visiting friends and family and then, finally, they gather in a room while someone mixes the meds in a glass of water. They say their goodbyes and drink the solution. Within about ten minutes they fall into a coma and die. Part of me can totally understand the reason. These people were in pain. They faced the prospect of losing all of their normal everyday functions of life. They didn’t want to face the final, excruciating days of death that their respective diseases would bring, nor did they want their families to have to face it also. And to be honest, I don’t blame them. Given the choice between getting hit by a bus or dying of brain cancer, I’d take the bus just about any day. But other than the fact that they were all dying, there was another common thread between them: They believed that at some point their circumstances would no longer have worth or value, and it would be at that point that death would be the best option. So why should this matter to believers? Some might even argue, “Why wouldn’t a Christian want to ‘die with dignity’ if he or she is faced with a terminal illness? He or she gets to go to heaven!” But there’s a bigger picture here. For the believer there’s so much more to terminal cancer than simply getting sick and dying. Suffering in and of Itself is NOT good. Let me be clear. Suffering, pain, death, cancer, etc. are NOT good things by themselves. They are bad things. They are not part of the original intention of God’s good creation. They are unnatural, and exist because of the fall that left our world, our lives, and all of creation broken and marred. God’s warning to Adam and Eve in the Garden of Eden in Genesis 2:17 was that if they ate of the fruit of the forbidden tree that they would “surely die.” They ate, and since that time all humanity has faced the prospect of death and the suffering that comes with it. But God sovereignly USES and ordains suffering for good. Here’s the bigger picture. God is not the source of evil. We live in a sinful world, and the suffering and evil we face is because of the fall. Yet God in his sovereignty is working all things together for good, and to accomplish his purposes (Rom 8:28). There are numerous stories in Scripture that could be noted here. The evil plots of Joseph’s brothers that led to his enslavement and false imprisonment, ultimately resulted in him being in a place to save his entire family from starvation (Genesis 37–47; see 50:20). But probably the clearest example is that of Christ himself. In Luke 22:3 it records that “Satan entered into Judas called Iscariot who was one of the twelve.” The act of betrayal by Judas, as prompted by Satan, resulted in the arrest and crucifixion of Christ. Make no mistake, this was an evil act. Jesus himself prayed in the Garden of Gethsemane, “My Father, if it is possible, let this cup pass from Me; yet not as I will, but as You will” (Matthew 26:39). Jesus was not excited about the prospect of the suffering that awaited him on the cross. Yet it is through this evil and suffering that God accomplished his purpose of salvation through Christ’s shed blood. There IS real value in suffering. It is valuable for the one who is suffering. Satan’s and God’s designs in our cancer are not the same. Satan designs to destroy our love for Christ. God designs to deepen our love for Christ. Cancer does not win if we die. It wins if we fail to cherish Christ. God’s design is to wean us off the breast of the world and feast us on the sufficiency of Christ. It is meant to help us say and feel, “I count everything as loss because of the surpassing worth of knowing Christ Jesus my Lord” (Philippians 3:8) and to know that therefore, “to live is Christ, and to die is gain” (Philippians 1:21).” John Piper, Don’t Waste Your Cancer, pg. 10. It is valuable for those around the sufferer. Suffering can often open doors of opportunity into the lives of others that simply wouldn’t be there otherwise. Brittany Maynard spent her last six months of life fighting for and promoting physician-assisted suicide for the terminally ill. How much more valuable would it have been for her to use her voice to proclaim the eternally life-changing power of the gospel? For the believer, every breath, even those that are heavy, labored and painful, may utter the goodness of Christ to a listening ear. Even when speech or even any physical communication is no longer possible, the very existence of life itself testifies to the amazing work of God’s creation. God will not let the death of one of his saints be wasted. The Apostle Paul writes in 1 Thessalonians 4:13 “But we do not want you to be uninformed, brothers, about those who are asleep, that you may not grieve as others do who have no hope.“ For the believer there is a real hope. A hope of eternal life in Christ. A hope of the New Heavens and the New Earth. And I heard a loud voice from the throne saying, “Behold, the dwelling place of God is with man. He will dwell with them, and they will be his people, and God himself will be with them as their God. He will wipe away every tear from their eyes, and death shall be no more, neither shall there be mourning, nor crying, nor pain anymore, for the former things have passed away” (Revelation 21:3–4). Christians may hope in this truth, that there is a day coming when the very effects of the fall will be completely and utterly removed and all of creation will be restored to a state of sinless perfection. If you are interested in further reading on this topic, Randy Alcorn and John Piper have also weighed in. Click on the links to read their thoughts. This is a tongue-in-cheek post addressing the way some issues are being discussed these days. Here’s a video with three well-known pastors discussing a common argument used in debates. In this post Barnabas Piper encourages us to use the word “gospel” thoughtfully. This piece on the Desiring God website frankly challenges us to deal with sin, confident in God’s grace to overcome it. Randy Alcorn recently spoke at Good Shepherd Community Church on the joy of giving. The page linked to here includes the videos of all three sessions. This 9Marks article provides four helpful categories related to cultural opposition. In the first post in this series we introduced these core values and looked more closely at the first one, Knowing God deeply in his word. In today’s post we’ll consider Core Value number 2, Praying fervently for God’s purposes in the world. Core Value #2: Praying fervently for God’s purposes in the world. At GBC we want to be a church body that is increasingly characterized by prayer. 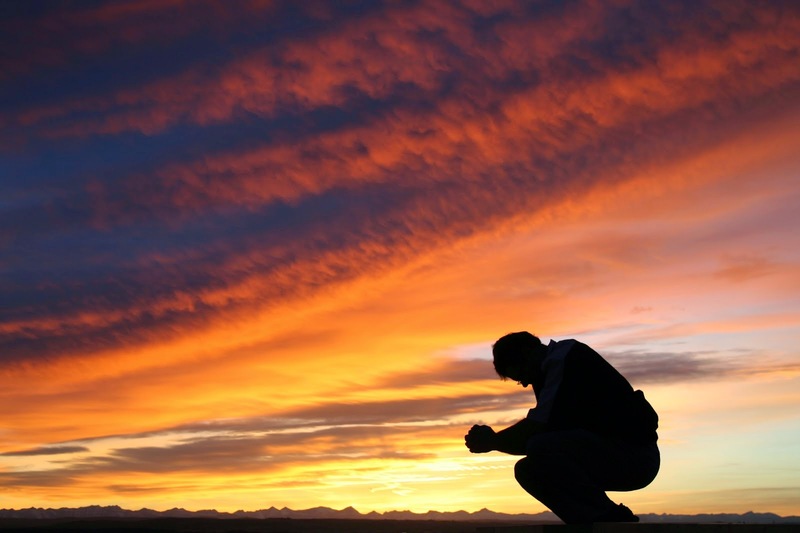 There are several reasons prayer is an important part of the Christian life and the life of the church. First, Scripture instructs us to pray. In Luke 18 Jesus tells a parable of a widow who repeatedly and persistently pleaded with her city’s judge to give her justice against her adversary. After ignoring her request at first, the judge eventually gave in to her requests. Luke tells us that Jesus used this parable to teach his disciples “that they ought always to pray and not lose heart.” Many other verses instruct us to pray; for example, Rom 12:12, Eph 6:18, Phil 4:6, Col 4:2, 1 Thess 5:17. Prayer is important because the Bible commands us to pray. And the Lord delivers them from their enemy. Prayer is important because it is a contrite confession of need and dependence on God. 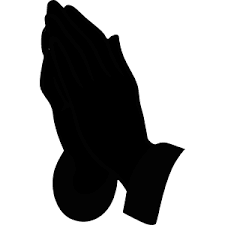 Prayer is important because it is a trusting acknowledgement of God’s character. Prayer is a means by which the Lord accomplish his purposes, in our lives, in the church, and in the world. In Acts the early church is repeatedly described as devoted to prayer (e.g. 1:14; 2:42; 6:4). These fervent prayers are what the Lord uses to empower the rapid and miraculous expansion of the church and God’s kingdom throughout the rest of Acts. Prayer is important because God uses it to work in and through his people in the world. There are many other things we could say about the importance of prayer. I’ll conclude this post with one point of clarification and a few practical ways we might make prayer more prominent in our lives. When we pray, our prayers should include more than just requests. We tend to think of prayer as asking God to help us or give us something. However, the prayers we see throughout Scripture include praise, thanksgiving, and confession, along with supplication, or request. The Psalms provide numerous examples of all these different aspects of prayer. David often cries out to God to deliver him from his enemies. Yet, surrounding these requests and pleas for help, the psalms are filled with praise and thanksgiving for who God is and what he’s done for his people, along with confession of sin as well. And in Paul’s letters, his prayers typically begin with thankfulness for the good things the Lord is accomplishing. So what kinds of things can we be doing? How, practically, can we grow, individually and corporately as a church, in the area of prayer? Come to prayer meeting on Sunday mornings at 9:30. A group of us meet for prayer every Sunday morning in the room on the end of the west hall at Dexter McCarty. Have a plan for prayer. The prayer bookmarks, which are available on the information table, are a good tool for this. On one side of the bookmark is a brief template for prayer based on the Lord’s prayer in Matthew 6, along with a few references to other passages on prayer. The other side gives space to write out a plan, listing certain things or people to pray for on each day. Use the church directory. It is a good tool for praying systematically for others in the church. Also, there are some tools in the front of the directory that give good examples for how to pray. One benefit of these examples is that they emphasize praying for people’s spiritual health, which helps us avoid the tendency to pray only for physical needs for people. Set aside time to pray with your spouse, with a Christian friend, or as a family. Like Bible reading, it’s helpful to make a habit of praying. And praying with other believers helps with consistency, and it cultivates Christ-centered relationship. Pray together with your small group. Some groups share requests and pray for each other throughout the week. Others set aside a chunk of time to pray during small group itself. Some do a combination of these two. One way or another, seek to make prayer a part of your small groups. Come to prayer meeting on Sunday mornings at 9:30. In light of last week’s sermon on Wisdom and Family, this post touches on some practical advice for loving discipline. It’s written by Sarah Eggerichs, whose husband, Emerson, wrote the book Love and Respect. Kimberly Thornbury suggests a few practical traditions for this time of year. This post gives us some good things to think about related to small groups. In this post Bronwyn Lea offers good advice for reading the Bible carefully and purposefully. Here are some great points about our need to be involved in the local church. love letters and chick flicks were no problem. definitely some biblical imagery of a God who pours out His love in this way. Israel had wandered. She was like a girl playing the field. returning to Him? Don’t try this in your next relationship! Gomorrah. Not exactly the way I would expect to be pursued. completely, yet you did not return to me. return to me,” declares the LORD. our theology have room for God to love us by sending disease? Here is a powerful prayer on prayer, from the book Prone to Wander, which is a collection of prayers inspired by the classic prayer book The Valley of Vision. John Piper addresses the terminally ill woman who plans to take her own life here in Oregon. Today being October 31st, here are three posts that give helpful perspective on Halloween and Reformation Day. This blog post is the first in a series of posts outlining these values. There are distinctive traits that characterize our church more specifically—things like simplicity (mere church, not a lot of programs or large financial commitments) and a heart for justice (diversity, care for the unborn, adoption and foster care). You can take a look at more of these distinctive marks HERE. And you’ve probably also heard us talk about Growing, Giving, and Going, which are the three expectations in which all members of GBC agree to participate. Those distinctives and membership expectations matter, but the Core Values are more fundamental. They identify the principles we consider to be most important in the life of our church. What we do flows from what we value most highly. That’s what these Core Values are. These are the five things we believe are essential to what God calls us to do and to be as his church. And we want to think about these and be reminded of them often. That’s why they are on the church website, on the front of the bulletin, and up on the screen on Sunday mornings. That’s why they;ll be addressed in upcoming sermons, and why we’re dedicating a series of blog posts to talking about them. As we go over them one by one, we’re going to think a little more about what they mean for us as a church. The hope is that this will help us think more also about how we can apply them—how we can work at valuing these things more highly, in our homes, in our communities, and in our church. Our preaching is expository: We strive to have the main point of our sermons, preached on Sunday mornings, derive from the main point of the biblical passage. We encourage involvement in regular Bible reading: This happens through the GBC Bible read through and other avenues. We make every effort to allow Scripture to guide our decisions: Though the Bible doesn’t speak to every issue specifically, we seek the Lord’s revelation of himself and his wisdom as it relates to finances, staff, leadership, and all aspects of ministry. Our Children’s Ministry curriculum has a strong biblical emphasis: We want our kids, and our youth once we begin a Student Ministry, to develop biblical literacy, and to learn the importance of knowing God through his word from a young age. We are called “Gresham BIBLE Church” for a reason. We believe that in Jesus we have the ultimate revelation of who God is. He is the incarnate Living Word of God. And we believe the Scriptures, the Old and New Testament, are the primary means by which we know Jesus. The Bible is the written word of God, graciously given for our benefit. There is much more we could say about Core Value number one, but I’ll just add one point of clarification. To be clear, when we talk about knowing God, we’re not just referring to an intellectual or academic knowledge. While theology and biblical understanding are important, the kind of knowledge we value highly is much more than that. We don’t value simply knowing about God. It is a relational knowledge we desire – an intimate knowledge of God, characterized by life filled with and guided by the Holy Spirit, bearing the fruit of righteousness, and continuing in a manner worthy of the gospel of Christ. It’s not just head knowledge, it’s heart knowledge, and it leads to holiness and worship. It’s a knowledge that grows out of love and manifests itself in a godly wisdom that applies to all aspects of life. We want our church to be a church that knows God deeply through his word. Please feel free to comment below, on this post and the others in this series. We would love to hear from you. How have you seen this Core Value demonstrated in our church? How have you personally contributed to this value, or how could you make it more of a priority in your life? John Piper exhorts Christians to be deliberate in our approach to prayer. The author of this insightful post challenges our thinking on music and worship. This article give some benefits of reading and studying often overlooked Old Testament books like Leviticus. Here are two articles on male and female value and roles. The authors of both articles represent the same basic understanding on these issues as we do at Gresham Bible Church. In this post a husband and wife (both seminary professors) talk about the Bible’s overarching view of gender roles. Coming from the same general perspective on the roles of women and men, this author highlights the value Jesus placed on women and how counter-cultural that was in his time. As with all posts on our blog, feel free to share comments below. Some considered Williams a victim of the disease of depression: a tragic casualty in the battle against mental illness. Others, including one infamous Christian blogger, ultimately attributed the comedian’s demise to a bad decision. Many commenters even went so far as to suggest that depression (and ultimately, suicide) is just a symptom of unconfessed sin, an ailing spiritual life, and a lack of faith. For a few of us, the “how” wasn’t even a question. We didn’t need to wonder, because we already knew. We know what it’s like to feel so hopeless that the thought of living has lost its appeal. Although the graceless speculations of a vocal minority may indicate otherwise, Christians are not immune to the bog of depression, and being depressed doesn’t make you a “bad” Christian. Now, LORD, take away my life, for it is better for me to die than to live (Jonah 4:3). Contemporary examples of Christian leaders fighting against depression abound as well, such as: Mother Teresa, Charles Spurgeon, C.S. Lewis, and John Piper, among others. Piper in particular has written on the subject of depression many times. In his book When the Darkness Will Not Lift, he establishes that depression may develop due to a variety of considerations, including: “sin,… Satanic assault,… distressing circumstances, or … hereditary or other physical causes.” Sin is just one of several factors that may cause or worsen depression. Although a guilty conscience struggling under the weight of unconfessed sin may become trapped under the weight of depression, sin is not the absolute cause of all depression, and depression itself is not necessarily sin. As Piper says in his book Future Grace, “The first shock waves of the bomb are not sin. The real danger is yielding to them. Giving in. Putting up no spiritual fight. And the root of that surrender is unbelief — a failure to fight for faith in future grace. A failure to cherish all that God promises to be for us in Jesus.” While depression itself is not sin, it does leave us woefully vulnerable to it. For the Christian, depression is a systematic attack by Satan that exploits the believer’s weaknesses and takes their focus off Christ and puts it onto a warped interpretation of their circumstances. During my own battles with depression, I have struggled to decipher truth from fiction. My mind has been filled with hateful thoughts that I could not fend off: You’re a failure. No one wants to be around you. You’re a disappointment to everyone. No one cares what happens to you. Why do you even bother anymore? He was a murderer from the beginning, and has nothing to do with the truth, because there is no truth in him. When he lies, he speaks out of his own character, for he is a liar and the father of lies (John 8:44). When we know that a fellow Christian is becoming overwhelmed by Satan’s lies, it’s not our job to speculate about why that person has succumbed. Instead, it is our job to take a stand with our struggling brothers and sisters in Christ and help fend off the lion; we must help protect God’s family from all attacks. So, what are the weapons that we have to fight this battle? Fellowship: Depression festers in isolation. People who are depressed will naturally withdraw from those around them because of shame or fear. If you know or suspect that someone you care about is depressed, reach out to them and be near to them. Whether that means offering a sympathetic ear, or merely sitting in silence, God can use your presence to provide comfort in a trying time. Prayer: A depressed Christian may feel so discouraged that they aren’t able to pray for themselves. They may feel that God doesn’t want to hear from them, or that their prayers won’t make a difference. Your prayers can help guard them when they are unable to ask for protection for themselves. Pray for this person independently and with them when you spend time together. For many people, just knowing that someone cares enough to pray with them and for them will be a strong encouragement. Truth: As it was in my case, depressed individuals may have a difficult time distinguishing truths from Satan’s lies. Take every opportunity you can to encourage them with God’s Word. Shower them with God’s promises, even if they are unable to fully appreciate them at the time. Be lovingly persistent, and continue to be faithful in prayer. This Paul Tripp post offers some good insight about aligning our values with the Lord’s. Here are some things for Christians to do that will help make our churches better and stronger. Here’s a helpful take on leadership and what it should look like in a marriage. Russell Moore responds to the lunacy taking place in Houston. An interview with Michael Horton talking about his new book Ordinary. A few weeks back I had the privilege of hearing Josh Mathews preach from Deuteronomy 6:1–9. It was an excellent sermon encouraging the body to make the word of God central in our lives by reading it, thinking about it, memorizing it and teaching it to our children. After coming out of a fairly “dry” summer as far as consistent Bible-reading goes, it was exactly the sermon I needed to hear. My priorities needed to be rearranged, and the sermon definitely helped my heart to elevate God’s word into top priority category. There was just one problem with my heart on Sunday as I listened to the treasure of God’s word being preached. As Josh unfolded his sermon, my sinful heart started to take the truth Josh was preaching and make it about me. As Josh preached about reading God’s word to our kids, my initial feeling was guilt. I started to imagine my new life (beginning Monday) where I woke before 6 am to prepare a hot meal of eggs and waffles; I would then open my Bible and gently and fervently read the word to my children and help to turn their sweet little hearts to Jesus, a mug of coffee in hand, of course. In this imagined scenario, I already had my hair done, makeup on and was dressed for the day. Picture a scene from Norman Rockwell minus the heels, apron and pearls (even my imagination is not THAT good). My children were eating their hot breakfast while eagerly asking questions and soaking in all the truth I was heaping upon them. Insert record-scratch sound right about here…. Even before the sermon was over, I remembered a blog post I had read and reposted a few days earlier. The blog was titled, “Dear Mom Who’s Trying” and was written mainly to moms who constantly feel like a failure as they heap unrealistic expectations on themselves and their children. The blog post wrote about the many ways moms set themselves up for failure by trying to change themselves and their lives by just trying harder. It’s not only women who struggle with this issue, it’s everyone, it’s our human-nature. It’s our default mode, if you will. I looked around the congregation during the sermon and wondered how many people were feeling guilty even though Josh very clearly spoke graciously and without any condemnation, several times acknowledging the difficulty in leading lives devoted to God’s Word. Our default mode is to make it about ourselves. After the initial feelings of guilt and failure, we then pull ourselves up by our boot straps and silently start making plans for how we will make ourselves better. Thankfully, I remembered the main verse from the blog post before the sermon was over. “‘Not by might nor by power, but by my Spirit,’ says the Lord Almighty” (Zechariah 4:6). I had to laugh at how often I forget this very, very important truth. If I am trying to improve myself by being a better wife, mother, friend, etc., if I try, try, try in my own strength, running on empty then, yes, I will always feel like a failure. Or maybe you aren’t like me, with all my displaced self-confidence and zeal to be better. Maybe you stopped listening halfway through the sermon knowing Bible-reading is just one more thing you’ve already failed at and why bother starting when you’ll just fail again after one week. Both these attitudes are rooted in the flesh and not relying on God to complete the good work in us (Philippians 1:6). We need Jesus. We need him every day, all the time, which ironically brings us full circle. How do we know Him, how do we rely on Him, love Him, make Him first in our life? Well, the best way to know Him is through His Word! Now before we start imagining ourselves as champion Bible-readers, let’s pray and ask God to help us to walk in His Spirit. Pray He will give you a desire to know Him, and pray He will help you to read your Bible, not turning it into a task to check off. Ask Him to show you ways you can set up a routine or accountability. Knowing I had a very dry summer, I decided to join the Good Shepherd Women’s Ministry Bible study. I recognize I’m not prioritizing the Bible without accountability so I’m seeking help in the form of a group Bible study. There are many ways to make the Bible a priority in your life and it will look different for all of us. Learn to rest in the fact that God’s mercies are new every morning. Every day we have a fresh start and another opportunity to know God. And may I just share a very small victory with you? Yes, a victory on the Monday after the sermon. I did read the Bible to my kids this morning! I read a paragraph of John, in the clothes I wore the day before, not wearing makeup, while my kids shoveled down cereal. It was about 4 minutes of Bible and my kids were barely interested. Will I read to them every morning? Probably not, but I am thankful for the sermon on Deuteronomy 6:1–9, and I’m thankful God used it to change my heart toward Him and His Word. I will continue to pray the Lord will help me to read the Bible to my kids and myself. So, take a deep breath, brothers and sisters. It’s not about you and improving yourself. It’s about Him. The guilt, the list of to-do’s, the dreams of bettering yourself in your own “might and power” are NOT from Him, they are from your flesh. But the beauty of walking in the Spirit and abiding with Christ is that He does better us! He empowers us to become more like Him. When we stray into “try harder” mode, He gently leads us back and shows us He is the way. He loves us, and He longs for us to walk with Him in freedom and joy! We have been starting our Sunday morning service lately by reading Scripture aloud together as a call to worship. This article talks about joining the Bible with singing. This piece from 9Marks ministry addresses some of the drawbacks to churches meeting at multiple campuses. Doctrine is teaching of God or teaching about God. This article gives some reasons to value, study, and know doctrine. Taking Romans 8:28 as his starting point, Randy Alcorn encourages us to trust the Lord to use even seemingly bad things for his good and for our good. In this post by Trevin Wax he shows how Chesterton provided a good model for cultural engagement.